Home Tags Posts tagged with "Lars Lokke Rasmussen"
Denmark’s center-right opposition parties have beaten the ruling coalition after a close general election in the country. With all mainland votes counted, ex-PM Lars Lokke Rasmussen’s center-right group beat PM Helle Thorning-Schmidt’s center-left coalition, although her party is the largest. Helle Thorning-Schmidt has now stood down as Social Democratic Party leader. The right-wing, anti-immigration Danish People’s Party will become the second-largest in parliament. The DPP’s leader Kristian Thulesen Dahl had previously poured cold water on the idea of going into government. Kristian Thulesen Dahl told Denmark’s Politiken he preferred “the little free bird role, which can make the Danish People’s Party come closer to getting our policy through in the real world than you think”. He could yet be in a position to make a bid to become prime minister. He said he would push for “control of the flow of refugees”. Helle Thorning-Schmidt’s governing Social Democratic Party was the biggest party, winning at least 26.3% of the vote, according to Danish broadcaster DR. Her allies failed to gain as much of the vote as those of the opposition and she stood down as leader after conceding defeat. According to DR, the Danish People’s Party won 21.1% of the vote, and Lars Lokke Rasmussen’s Denmark Liberal Party came third on 19.5%. Denmark is voting in a general election on Thursday, June 18. According to opinion polls, PM Helle Thorning-Schmidt’s center-left coalition and the centre-right opposition led by ex-PM Lars Lokke Rasmussen, appear to be neck and neck. However, the pollsters have only canvassed the Danish mainland – and voters in Greenland and the Faroe Islands may decide the vote. Minor issues like a Faroes fishing dispute could influence the result. The islands’ fishing community is still angry at Helle Thorning-Schmidt for barring its boats from Danish ports in a 2013 dispute over alleged overfishing. In reality it is the economy, rather than mackerel quotas, that tends to swing elections, and Helle Thorning-Schmidt’s Social Democrat party has staged a remarkable comeback in recent weeks as Danish finances improve. 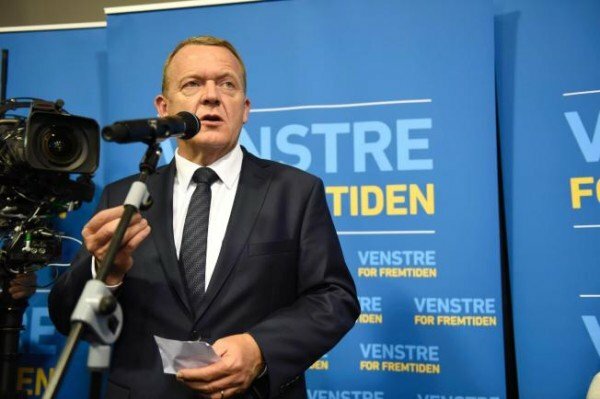 Lars Lokke Rasmussen, who led the country between 2009 and 2011, has suggested that benefits are so high that there is barely any incentive for Danes or immigrants to work. Hours before the polls opened, party leaders took part in the final debate on Danish TV. A poll released on June 16 put the centre-left bloc – the Social Democrats and their four coalition partners – on 50.1% and the centre-right bloc led by Lars Lokke Rasmussen on 49.9%. Either one of Helle Thorning-Schmidt’s and Lars Lokke Rasmussen’s parties could win the most seats, only to find themselves the loser if the other can muster a larger coalition. Polling suggests that Danes are looking outside of the two main parties for alternatives. One of them, called the Alternative, is a green party that has the potential to tip the balance in the favor of the centre-left coalition. On the other side, the Liberal Alliance is drawing young libertarians away from the centre-right.